The story starts with a bang and doesn’t let up. In the very first chapter, Ben and Maggie are trapped in a store room, being stalked by a dangerous man. Narrator Ben seems to indicate this situation has happened before, but nothing is spelled out. As a reader you aren’t sure what exactly is going on but you really want to find out! I thought this was one of the best openings of an action book I’ve read in a while. It trusts that the reader will be able to eventually figure out what is going on and sets up interest in the plot. After this snappy beginning, the story just keeps leaping forward. The mechanics of the time loops are set forward quickly and cleanly; characters are sketched rapidly, and each short chapter flows well into the next. Even the narration in the dreaded First Person Present Tense works well with this action-packed time-loop based plot. Even though Ben and Maggie face a life and death situation, the story is laced with humor. For example, Ben and Maggie are in a hair salon and Maggie tells Ben to steal some scissors, and Ben laughs at himself for taking the time to steal the cheapest pair because his mom has trained him to always look for the best bargain. The plot is also fun because the author cleverly has his characters ditch their cell phones (so they can’t be tracked). There are definitely stories that make good use of cell phones, but sometimes stories either don’t make good use of them or awkwardly don’t address that such devices even exist in the modern world. Having a good reason to have no cell phones forces the characters to rely on their wits and make moment to moment decisions and guesses. The Loop deftly subverts standard action story gender dynamics by having the female character be the cocky, assertive, knowledgeable lead, even though the narrator is male. The way the story is set up, Maggie seems to retain more memories throughout all the loops, so she functions as Ben’s leader. Ben is more cautious and fearful and relies on Maggie to guide him through the particulars of the time loop (which he doesn’t remember happening before). Later in the story, Ben does try to protect Maggie and sacrifice himself, but it becomes obvious that Maggie wants to do the same thing for Ben. 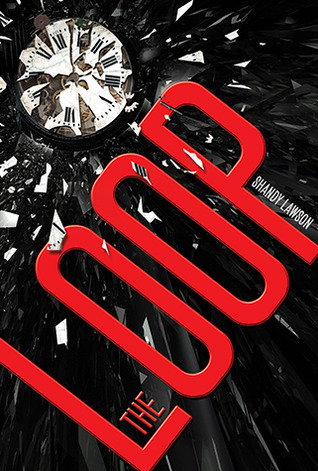 I’m not going to list the MANY questions that came to me as I read The Loop, but will just say that there was a ton of stuff that didn’t make sense. Sometimes the characters did things that made no sense whatsoever, the most aggregious being the fact that [SPOILER] Ben and Maggie refuse to go to the police because they are afraid of being arrested for shooting their adversary Roy, even though a) Roy is a known criminal and b) they end up getting out of the loop in the end by arranging for the police to come rescue them. This is one of those situations where if they had just called the police, there would have been no story at all. But still, this issue should have been addressed better since such a big deal was made about it. [END SPOILER]. In general, stories with time paradoxes are really hard to pull off, and the similarly-named movie “Looper” even has its major characters tell the audience not to think to hard about it. It’s best to do the same for this story. Now why do I (mostly) give The Loop a pass but came down so hard on Every Day? Because The Loop doesn’t take itself seriously or attempt to teach a lesson of tolerance. It’s just there to take you for a ride. The Loop is all about the action. Although it is set in New Orleans, it rushes through the major tourist areas, such as the French Quarter, and briefly talks about its legendary food and jazz without making in feel like New Orleans is a real place that people live in. Similarly, none of the characters are particularly fleshed out. Maggie gets the most description and background, but she still never feels fully real. Our narrator Ben is kind of an everyman, the major adversary is pretty much a cipher, and some of the only other named characters are an old man who is either wise or crazy and serves to deliver major plot points, and a nice old minister who serves as the story’s only non-white person. But if you only want to go on a fun ride, then none of this lack of development really matters. This entry was posted in Contemporary - YA, Full Hack, SciFi - YA and tagged FPPT, Male narrator, Quick read by lithacker. Bookmark the permalink.